Your spouse just demanded a divorce. What is the first thing you should do at the beginning of the divorce process? The knee-jerk reaction for most people is to call a lawyer. In most cases, that is not the best answer. If, in fact, there is an immediate crisis risk, such as your spouse taking all the money from your joint accounts and hiding it offshore, or taking your kids and moving to Australia, then deal with the crisis first. Take half of your joint assets and put them in your name only. File for custody of your kids and ask the court to forbid either parent from taking them outside of your home country. In most cases, however, there is no immediate crisis, so the first thing to do is manage your own emotions. If you are angry, be angry, but be careful not to let your anger contribute to a hostile, scary environment for your kids to live in. Anger is energy, so use it to fuel constructive steps toward independence. If you are depressed about the loss of your spouse or the ending of your marriage, get the support and help you need. If you are anxious about the future, take steps to build a secure one. When you are upset, talk with friends, a therapist, a divorce coach, and/or members of a divorce support group about your feelings. Don’t talk about it where your kids will overhear the conversation. Next, educate yourself. Learning about your options for what comes next may have a calming effect, as you discover that you can have some control over what happens. Many professional family mediators and many lawyers provide lots of free information on their websites. Good books about the emotional, financial, and legal aspects of the divorce process are readily available. Divorce affects every part of your life — your legal rights and responsibilities regarding your kids and your spouse or ex, your short-term and long-term financial security, your emotions, your relationships, your job, your soul. Take good care of yourself as you ride the emotional roller-coaster that many people experience during separation and divorce. Give yourself time for grieving about your loss. Gradually prepare yourself for a bright future, in which you make the decisions about how you want to live your life as you go forward. As soon as you feel the need or feel ready, begin to assemble your divorce support team. Here is a list of some of the professionals you may want to include. It is a long list; it may include many people you do not need. Some people will need only a professional family mediator and a mediation-friendly attorney. Others will benefit from having several people with other kinds of expertise on their team. You are probably better qualified than anyone else to determine whom you need on your team. 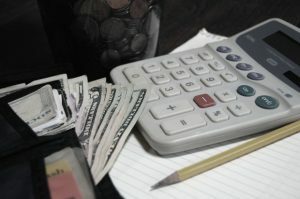 As you gather your divorce support team, also begin to gather the financial records you will need so that you and your spouse can determine what distribution of assets and debts is fair, or at least acceptable. You will need the names and addresses of all the institutions that manage any of your or your spouse’s assets and debts — banks, brokerage accounts, retirement accounts, credit card companies, mortgage loans, car loans, utility bills, etc. If possible, gather a record of all account numbers. For retirement accounts, you eventually will need to find out how much was in each account (a) when you married, (b) when you separated, and (c) currently. If it is easy to gather that information now, do it now. Make copies of everything that is easy to find and store the copies where your spouse will not be able to find and remove them. Later, you may need the records, as you work with your mediator and/or your lawyer. If you just hire a lawyer to handle everything for you, the process is likely to take a long time, and you are likely to spend a very large amount of money to get divorced. If you and your spouse work with a Professional Family Mediator, you can probably settle everything much faster, and at much lower emotional and financial cost. Your divorce is part of your life. You will feel better if you take charge of it. 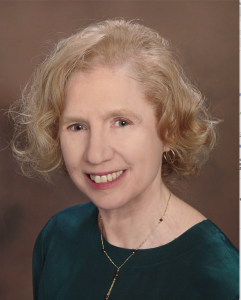 Virginia L. Colin, Ph.D is the Director of Colin Family Mediation Group LLC in northern Virginia. She has written two books: Human Attachment (1996) and, with Rebecca Martin, The Guide to Low-Cost Divorce in Virginia (2014). Formerly a research psychologist and a an Internet talk radio show host, she now specializes in helping couples and ex-couples develop good co-parenting plans and financial agreements. This article was originally published on Divorce Magazine’s website on Sept. 29, 2017.